This 17th-century cottage, sits in a small village on the outskirts of Pitlochry; which is a small but bustling town, with a good variety of shops, places to eat and a theatre that puts on summer shows. 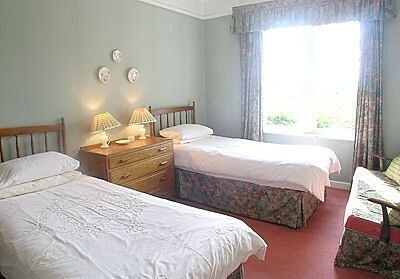 A traditional cottage it is ideal for guests wishing to enjoy a comfortable holiday break – whatever the season. 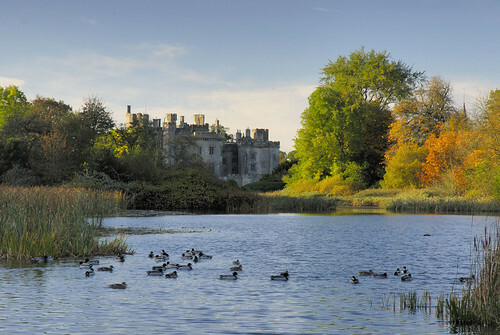 Some superb golf (8 golf courses in less than 8 miles) and fishing can be enjoyed in the area, and there are numerous castles, gardens and distilleries to visit. Why not start your exploration closer to home however and follow any of the pleasant walks available directly from the doorstep. 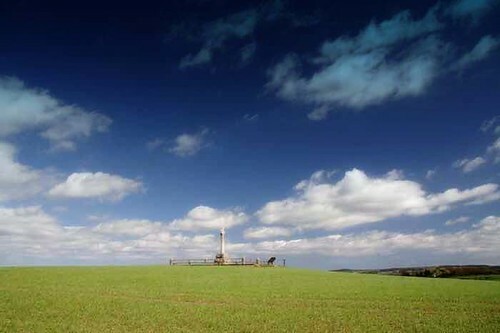 This is a marvellous centre from which to tour the moorlands and dramatic river scenery. Shop ¾ mile, pub 100 yards. Ground floor: Living room. Dining room. Kitchen. First floor: 2 bedrooms: 1 double with en-suite toilet, 1 twin. Bathroom with bath, shower cubicle and toilet. Third floor: 1 twin bedroom. Open fire in living room (no fuel provided). NSH, elec, bed linen and towels inc. Cot. H/chair. Video. DVD. M/wave. W/machine. T/dryer. Sitting-out area. Parking (2 cars). 1st comment: Location. Oct 2009. 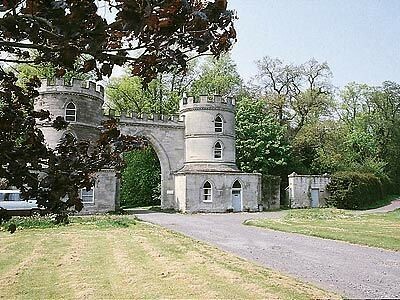 2nd comment: A very good secluded spot; excellent as a base fro touring or as a place to hide away.. Secluded and in an unspoilt estate close to the small town of Duns. Aug 2009. 3rd comment: This has got to be one of the best cottages, for that area of the north east, we have stayed in yet. The brochure & website did not reflect how amazing the place was. We will revisit. April 2007. 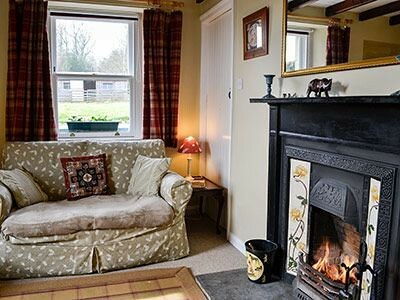 4th comment: The cottage is in idyllic surroundings but within easy reach of shops.It is very comfortable in every way and well heated. May 2006. Museum dedicated to life of racing driver Jim Clark. 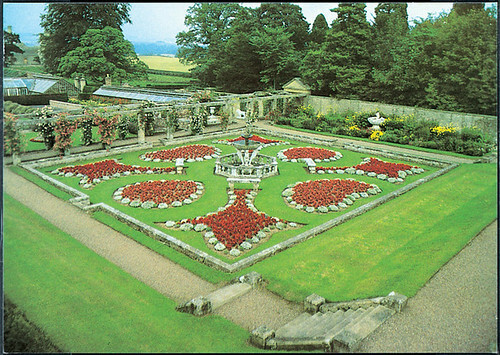 Manderston is the supreme country house of Edwardian Scotland; the swan-song of its era. Massive norman and victorian Border Pele or Peel that dates back to 1320 with later C19 baronial additions by Graham. 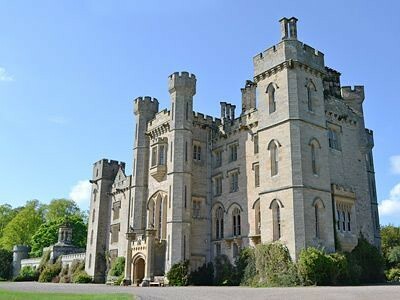 Still inhabited by the same family since C17 and not open to public. 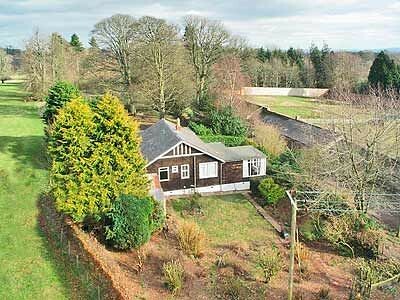 This large property is located on a hillside, one mile above the village of Swinton in the Scottish Borders, sleeping 8 people in 4 bedrooms. All on one level, good for people with limited mobility. 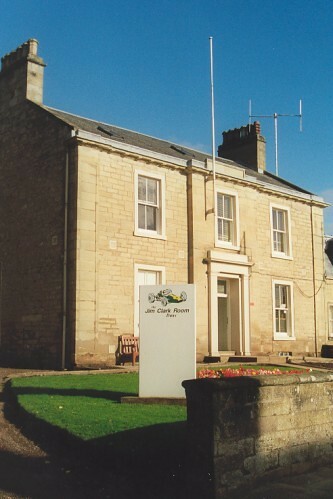 Former gatekeepers lodge 6 miles north of Duns between Preston and Ellemford on Souther Upland Way. Sleeps six people in three bedrooms.